Quotes on car insurance ... boring, right? Not so! While taking out the proper car insurance is surely a good idea, at Quotescoop.com we think that the some of best car insurance quotes are the ones you get from studying the weird things people write on their auto insurance claims. 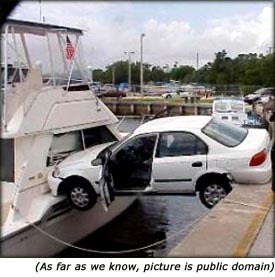 We have found several hilarious quotes on auto insurance which we'd like to present you with, after which, towards the end of this page, we will manufacture our own hilarious warnings signs that really should be included in any and all quotes on auto insurance. But first, the good fun of weird car insurance quotes. But hey, you can't own every house out there, and there are also lots trees not owned by people who have cars, so it can happen to anyone, right? When you want to collect on the car insurance quotes you've gotten, you need to fill out a form with questions. 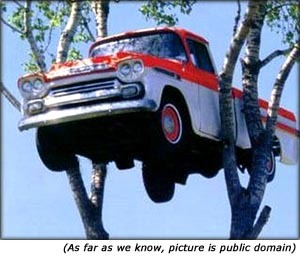 Question on one of the auto transport quotes claims: "Are there any ways that the accident could have been avoided?" Insurance claimant's answer: "Taking the bus." "My car was hit by a submarine." No, just one of those weird but true facts - and one of the absolutely classic quotes on auto insurance. This actually happened when a new hand at manning a submarine slammed it into the pier, which damaged the car of a wife that had come to the dock to greet her returning husband. Now, do you see how the best car insurance quotes are the stuff people write on their auto insurance claims? "The pedestrian ran for the pavement, but I got him." "The car in front hit the pedestrian but he got up so I hit him again." "The pedestrian had no idea which direction to go, so I ran him over." "When I saw I could not avoid a collision I stepped on the gas and crashed into the other car." "I bumped into a lamp-post which was obscured by human beings." So what, exactly was this driver trying to hit in the first place? "Three women were talking to each other and when two stepped back and one stepped forward I had to have an accident." Seems like some people are making an effort to hit passersby. Maybe playing certain computer games has damaging effects after all (yes, there are computer games where you drive a car and score points when you hit pedestrians - just another one of those weird but true facts). Seriously? In any case, that's what the person wrote. "If the other driver had stopped a few yards behind himself the accident would not have happened." Bet it has happened to you, too, right? But bet it wouldn't have if only you had been a few yards behind yourself! A surprising number of hilarious car insurance quotes found on insurance claims involved animals. One accident reported that a frozen squirrel crashed through the window of the car, while another of the best car insurance quotes claims stated that a cow jumped on a quad bike. Drastic measures for killing a fly, no? Talk about overkill. Well, the dog is man's best friend, but that does not necessarily make the dog a great driver. Food is another major part of auto insurance quotes claims, such as the accident that was caused by a potato being lodged behind the brake pedal or the one where the claimant's car was damaged by a frozen kebab that was tossed out of a another car. "I had one eye on the parked car, another on an approaching truck, and another on the woman behind." Three eyes totally focused on everything but the road. At least he's being honest about focusing on the 'headlights' of the woman behind him. Question on one of the auto transport quotes claims: "What warning was given by you?" 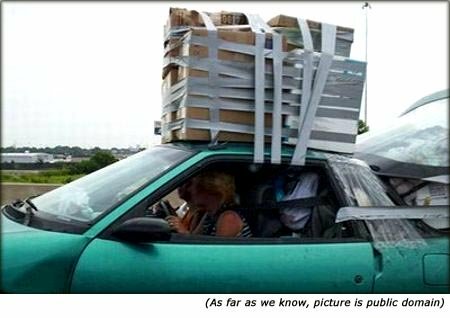 Next question on one of the auto transport quotes claims: "What warning was given by the other party?" "The accident happened when I was trying to steer my car out of a skid by steering it into another vehicle." "I started to slow down but the traffic was moving more slowly than I thought." "An invisible car came out of nowhere, struck my vehicle, and disappeared." Those damn invisible cars! Constantly slamming into passing vehicles and disappearing into nowhere. Happens all the time! Never any witnesses, though. For some reason, nobody ever sees it happen. "An indirect cause of this accident was some little guy in a small car with a big mouth." "As I neared an intersection, a sign all of a sudden appeared where no stop sign had ever appeared before." When obtaining quotes on car insurance, the wording of the document is usually very serious. However, to insure that the quotes are in fact the best car insurance quotes companies really ought to make them entertaining as well. 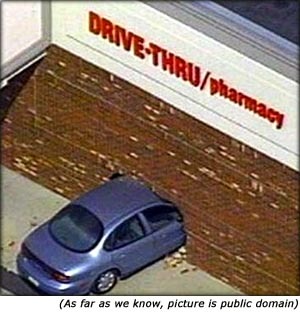 Here at Quotescoop.com we are of the opinion that a number of warnings really should be provided by car insurance companies on car insurance quotes in order to help drivers remember some simple things as they drive. All based on facts and experience, of course. WARNING: Swerving into another car may cause damage to both parties. WARNING: Trying to kill a fly by smashing your car into a telephone pole may cause damage to your vehicle. WARNING: Pedestrians on your windshield are closer than they appear. WARNING: Speeding up as you approach another car is not the best way to minimize damage. (But it just might be the best way to optimize it). WARNING: Dogs are not ideal drivers. WARNING: Stop signs sometimes appear in places where they haven't been before. Do let that stop you. WARNING: Attractive people are dangerous. Beautiful people walking down the street are one of the main causes of car accidents. WARNING: Trees may appear in your driveway if you are pulling into the wrong house. WARNING: Do not throw frozen food out of your window while driving. Stick to rotten food. WARNING: Stationary cars may jump out at you as you drive towards them. WARNING: The bump you just felt may be the pedestrian you just ran over. WARNING: Drive nice and slow, because frozen squirrels are known to cause damage to windshields upon impacting at high speed. WARNING: Wildlife and plant life have been known to spring out in front of vehicles. Depending on the size of the wild life or plant life - and your car ... either the car, the flora and fauna or you may sustain serious damage. WARNING: Telephone poles may occasionally jump in front of your path and cause you to collide. 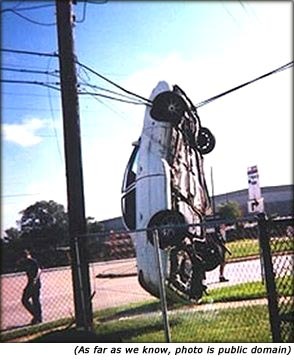 As this can be dangerous to your health, you must pay extra attention to all telephone poles. WARNING: So do not grow potatoes on the floor of your car. Potatoes behind your brake pedal may hamper your ability to stop your vehicle. WARNING: Falling asleep at the wheel may cause an accident. WARNING: Your car is not, in fact, a bumper car. Treating it as such will cause an accident. WARNING: Watch out for invisible cars. Invisible cars are often the source of damage, but witnesses are few and the police can't seem to find these cars, so you really must be on the lookout. Of course this doesn't help, but when the accident does happen you will feel better knowing you have done everything you could.